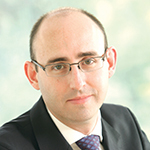 Richard Sherry, Fund Manager, M&G Investments. The value of investments will fluctuate, which will cause prices to fall as well as rise and you may not get back the original amount you invested. There is a growing ambition among institutional asset owners to develop more rigorous and sustainability-led investment portfolios. However, balancing fiduciary duty and social responsibility is not always easy to achieve. Impact investing can be an effective way to combine these two goals, as impact strategies can be designed to target a positive change without having to give up return. Investors who are targeting specific ESG or sustainable investment objectives are increasingly turning to impact investing. This is because impact investing goes beyond risk avoidance and exclusion and directly targets environmental or social benefits, while other ESG and sustainable investment strategies, such as ESG integration and negative screening, do not explicitly do this. For pension schemes, impact investing can offer opportunities to invest in a variety of projects and activities that can help to benefit scheme members as well as the wider community, for example, improved education, greater supply of affordable housing, better health outcomes and cleaner energy access. Investors need to consider the investment priorities, impact goals, and assets of any impact investment strategy, as well as the skill and experience of the asset manager. What does it define as impact and how do the investments achieve this? Understanding what comprises the universe of investable assets and whether the investment approach offers sufficient scope to diversify portfolios, can help investors determine which strategy can help them meet their long-term goals. Although the focus of impact investing strategies can vary across the market – for example, impact investors can prioritise financial return (“financial first”) or impact (“impact first”) – we see impact investing as targeting investments that generate a positive environmental or social change, as well as an attractive financial return. The primary way we approach impact investing is through private debt – privately-negotiated loans to projects or activities that offer sustainable outcomes and returns generally comparable to other private debt investments. This means we analyse the financial risk of potential impact investment in the same manner as non-impact investments, from a pure credit perspective, to determine whether we are adequately rewarded for the risk being undertaken. Fundamentally, we expect to achieve a good level of return, on behalf of our underlying investors, as well as a making a positive change to society. Charities may have similar aims, in terms of the societal benefit, but differ in that donors will give without expecting a financial return on their donation. How do you decide which impact opportunities to invest in? How do you ensure these investments deliver a good level of financial return as well as making a positive impact? You need a detailed set of criteria to assess each asset against and a clear framework to analyse and measure the impact of an investment. We assess an impact asset as we would any other asset in the private debt universe, with rigorous and detailed credit analysis undertaken by our in-house credit research team and making investment decisions on a relative value basis. The only difference is that we carry out an impact assessment at the same time, using criteria we have developed in conjunction with our sustainability adviser. When deciding what opportunities to invest in, having the resources and experience in asset sourcing and structuring means that we can select assets that deliver the best outcomes for investors. Value creation is an integral part of impact investing, therefore we believe it is important to not overpay for impact and ensure that the investment delivers a good level of financial return. The investable market is naturally more limited, so you need access to a broad range of asset types to be able to source the opportunities to build a diversified portfolio and yet remain selective about which assets make it into a portfolio. Impact investing is a growing area of the market, and in any growing market, it is important to remember that things can develop and change. We continue to develop our impact criteria and understand changes in the market and possible new avenues in the market. We are seeing a number of opportunities to invest in renewable energy generation projects or activities, particularly ground-mounted and rooftop solar assets as well as offshore wind. Energy efficiency, social housing, healthcare and green real estate are also providing interesting opportunities to invest. It’s important to have the flexibility to source and originate impact assets across a wide and diverse opportunity set – offering different terms, structures, ratings and returns – and so be able to invest in areas of the market where value is offered. Could you give some examples of impact investments you have made to date? We recently participated in a renewable energy transaction that finances a pool of loans to residential customers in the US who use the loans to purchase rooftop solar panels. These customers benefit from the long-term savings on energy bills from the clean energy produced by the solar panels, while the greenhouse gas emissions avoided by using the clean energy is estimated at over 50,000 tonnes of CO2, and is equivalent to 10,700 cars off the road per year in the US. In another transaction, we helped finance an urban regeneration project based in the UK, as part of a 10-year private placement deal. The project qualified as an impact investment as it promotes economic inclusion through the creation of an estimated 14,500 jobs in an area with relatively high levels of unemployment. In addition, a quarter of the residential developments on the project site will be social housing, approximately 4,000 new social homes, and most of the commercial developments are built to be highly energy efficient. In your view, what needs to happen for the impact investing sector to achieve critical mass? Over recent years, there has been an emergence of institutional-size private debt funds offering more attractive return levels while maintaining the positive impact. While investors are steadily realising that it is possible to make a positive impact without giving up return, growth in the number of impact investing strategies with track records that can demonstrate this will certainly help to attract even greater amounts of capital to impact investing. The UN Sustainable Development Goals (SDGs) have, and continue to, do a lot to promote the growth and development of the impact investing sector. Impact investors equally have a clear role in helping to achieve the SDGs by targeting investments and projects with positive real world impact. Together with the UN’s call to action, the direction of travel for policy and regulation is certainly supportive for the long-term growth and development of the impact investing sector. For example, the High-Level Expert Group (HLEG) on sustainable finance appointed by the European Commission to help develop an overarching and comprehensive EU roadmap on sustainable finance, is one such public sector initiative that is helping to steer private and public capital towards sustainable and impact investments. This guide reflects M&G’s present opinions reflecting current market conditions. They are subject to change without notice and involve a number of assumptions which may not prove valid. 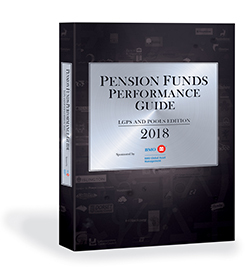 Past performance is not a guide to future performance The distribution of this guide does not constitute an offer or solicitation. It has been written for informational and educational purposes only and should not be considered as investment advice or as a recommendation of any particular security, strategy or investment product. Reference in this document to individual companies is included solely for the purpose of illustration and should not be construed as a recommendation to buy or sell the same. Information given in this document has been obtained from, or based upon, sources believed by us to be reliable and accurate although M&G does not accept liability for the accuracy of the contents. The services and products provided by M&G Investment Management Limited are available only to investors who come within the category of the Professional Client as defined in the Financial Conduct Authority’s Handbook. M&G Investments is a business name of M&G Investment Management Limited and is used by other companies within the Prudential Group. M&G Investment Management Limited is registered in England and Wales under number 936683 with its registered office at Laurence Pountney Hill, London EC4R 0HH. M&G Investment Management Limited is authorised and regulated by the Financial Conduct Authority.